Best Natural Toothpaste: Our Picks to Keep your Smile Bright! Toothpaste is something all of us use every day when brushing our teeth. However, what a lot of people are probably not aware of are the harmful ingredients that companies include in nearly every commercial brand of toothpaste. These are chemicals like propylene glycol and triclosan, which studies link to a handful of serious health issues. These are not only in adult toothpaste, but you can also find them in toothpaste for children as well. Thankfully, there is a great alternative that is just as efficient at protecting and cleaning your teeth as the commercial brands. We have searched the web for the best natural toothpaste and found our top 10 personal favorites. In the chart below, you will find our top 10 rated Best Natural Toothpaste. For a more in-depth review of each model, please click on "Read Review." Natural toothpaste, like other natural alternatives, is made from all-natural ingredients. Nearly all of the big commercial brands of toothpaste contain many chemicals that you wouldn't think would belong in toothpaste. Some of these chemicals include fluoride, triclosan, SLS (sodium lauryl sulfate) propylene glycol, DEA (diethanolamine), and others. Studies link many of these ingredients to several serious health issues. For example, triclosan is actually labeled as a pesticide and the EPA has openly stated that the chemical poses a threat to humans and the environment. DEA is commonly used as a foaming agent in toothpaste. However, studies have linked it to cancer formation and hormone disruption with repeated exposure. The rest have just as harmful effects on our health. Luckily, natural toothpaste gets rid of all of the harmful and unnecessary chemicals and gives you healthy teeth. They use only natural ingredients, with the exception of fluoride in certain brands. We will get to the fluoride controversy later. 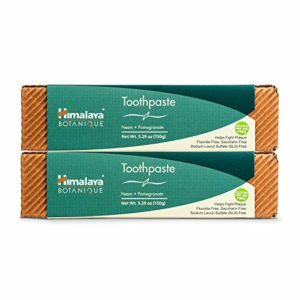 With the best natural toothpaste, you can expect to find tea tree oil, neem, and many other natural ingredients along with a variety of flavors. When looking for the best natural toothpaste, you will find a variety of different kinds to choose from. Unlike other natural products, where some of the types are superior to others, toothpaste is totally dependent on you and your tastes or needs. 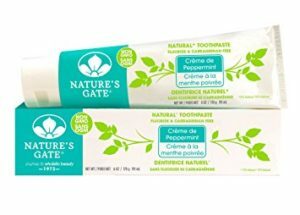 Many of the natural toothpaste brands have chosen to go with the traditional mint flavor while adding their own natural ingredients to make it great. Some of them include fluoride, others do not. 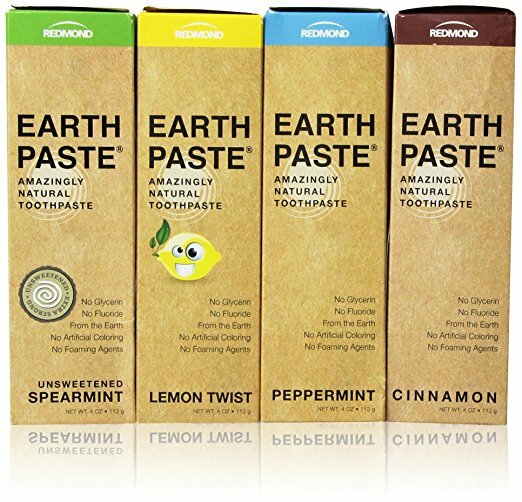 Mint is the most familiar option when buying the best natural toothpaste, and for that reason you will without a doubt find many minty options available to you. One brand, Nature's Gate, has flavors such as Creme de Peppermint, Creme de Anise, and Creme de Mint. Tom's of Maine also has similar flavors like peppermint, spearmint, and fennel. One interesting flavor you can choose that is close to the mint is cinnamon. Cinnamon has been a very popular choice in the natural toothpaste world. 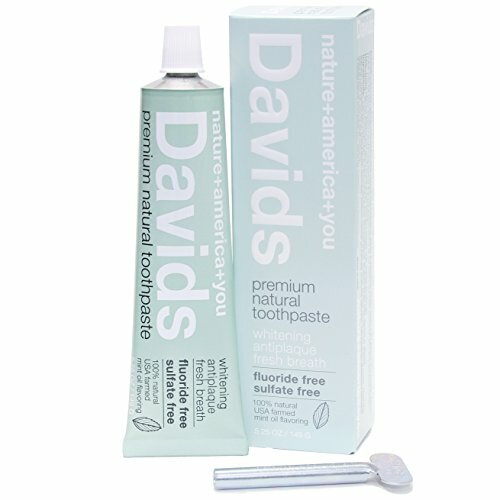 Another option you can choose from when buying natural toothpaste is with or without fluoride. The reasoning behind the elimination of fluoride is because fluoride is considered toxic to the body, but only when ingested. However, it is also a big ingredient that prevents tooth decay and cavities. Toothpaste is not meant to be swallowed anyway, so the addition of fluoride has been standard in toothpaste for decades. The biggest case for fluoride-free kinds of toothpaste is when there is a small child in the equation. Children tend to eat just about anything, so if they were to accidentally swallow their toothpaste, it could potentially be toxic to them. The other options you can choose from are the antibacterial or whitening alternatives. There are tons of natural ingredients that studies have found useful in toothpaste and many other instances for their ability to kill bad bacteria. This is important because bad bacteria leads to bad breath! Tea tree oil is one of the ingredients that helps. It has amazing antibacterial, antifungal, and antiviral properties that make tea tree oil useful in a number of natural products. When it comes to teeth whitening toothpaste, there are several natural ingredients that have been found to be extremely and surprisingly useful. Neem leaf is one of these ingredients. Another is activated charcoal. 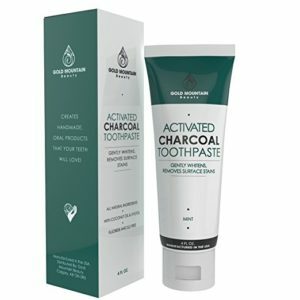 Activated charcoal has hit the market hard and is quickly becoming extremely popular because of its teeth whitening abilities. While there is still a slight controversy about the safety of it, the results speak for themselves. Past that, several of the bigger natural toothpaste brands will have different types of toothpaste that specialize in one area. 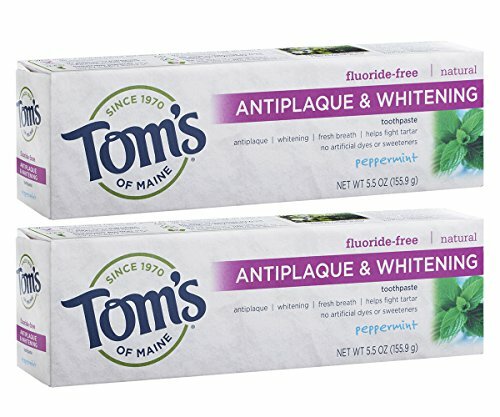 Tom's of Maine, for example, has types such as Antiplaque and Whitening, Enamel Strength, Simply White, and Whole Care. Natural toothpaste may be new to a lot of people, so do not get frustrated if you find yourself getting confused about the differences or the features of natural toothpaste. Here are some things that you should take into consideration when searching for your best natural toothpaste. Regardless of the type of toothpaste you end up choosing, an approval by the American Dental Association (ADA) is vital. The ADA has tested many of the natural and organic kinds of toothpaste for both safety and effectiveness at keeping the teeth clean. If you find a natural toothpaste brand without this seal of approval, it is definitely a gamble. It does not mean that it is a bad brand, but it does mean that it has not been tested by the ADA. It was most likely tested by the brand itself, but that is about it. This is important when choosing the best natural toothpaste. What do you need more? Do you want your teeth whiter, stronger, and cleaner? It all depends on you. In addition, you need to take into consideration sensitive teeth and sensitive gums. Some kinds of toothpaste can be very harsh and abrasive. If you have sensitive teeth or gums, it may be best to go with a softer, more sensitive toothpaste. Do you have a problem with cavities? It may be best to go with an anti-cavity toothpaste over a general clean. If you have chronic bad breath, I feel sorry for your loved ones. Also, you might want to pick up an antiplaque and antigingivitis toothpaste. To be safe, it is also best to see your dentist and check what they have to say about your teeth. They may be able to give you some really good advice when trying to find the best natural toothpaste. When shopping for the best natural toothpaste, there are several things to avoid. Obviously, any "natural" toothpaste that includes any chemicals, artificial sugars, or other ingredients is not so "natural". Other than that, many kinds of whitening toothpaste can actually cause more harm than good. Some of them have very abrasive ingredients such as walnut shell or plastic microbeads. After brushing,these can leave your teeth with enamel damage, which is permanent and hard to treat. If you suffer from weak enamel already, be sure to grab a natural toothpaste that strengthens enamel and gives you healthy teeth. This is purely personal preference. There are many kinds of natural toothpaste out there and many have done away with the traditional minty flavor that we all know and love. If you like that minty freshness, absolutely go for one of the many varieties available to you. However, if you want to try something new, there are many other options out there for you. If you are brave, you can even find orange flavored toothpaste. It is totally up to you. I will tell you, from personal preference, the cinnamon flavor is totally surprising in a good way. Fluoride is one of the most controversial ingredients in toothpaste. Depending on where you look, you will find people supporting it or condemning it. But why?? Well, it has been found that by ingesting moderate to high levels of fluoride, it can be toxic to your body, especially in children. However, that seems to be the only real disadvantage to fluoride. In fact, it has many more advantages when used as a topical treatment for your teeth. For instance, it prevents tooth decay and cavities and attracts other minerals, like calcium, in the mouth—which is great for bone growth and a few others. There are various rumors about the effects of fluoride. Many studies have examined the negative effects of fluoride, which have since been disproven. Nearly all of the rumors about fluoride have no base or factual evidence. Some of these rumors include that fluoride causes Alzheimer's disease, Down syndrome, heart disease, and a lower IQ. All of these are completely false. If you have a low IQ, it is not because of the fluoride in your toothpaste. Nevertheless, do not eat fluoride. Even though it is a naturally occurring mineral, too much of a good thing can be bad for the body. As long as you use it appropriately, fluoride can be of great use to your teeth. By looking at our top 10 best natural toothpaste, there are some features that are recurring. Here are the common features that you should look for when choosing the best natural toothpaste. No artificial anything. There should not be sweeteners, colors, or other additives. Non-abrasive ingredients. Toothpaste should be smooth and satisfying. Great taste. Many natural toothpastes do not taste so great. While many just accept it as a byproduct of going natural, there are great tasting flavors in natural toothpastes. Cinnamon is one of them. If you are confused or questioning many things about natural toothpaste, you are not alone. Here are the top questions asked by other consumers. 1. What is the deal with Fluoride? Fluoride gets a bad reputation from all of the rumors that surround it. In reality, the only thing really bad about it is if you swallow a decent amount of it. In that case, it can be toxic to your body. Avoid ingesting the toothpaste and you should be fine. 2. Can natural toothpastes really whiten my teeth? Yes. There are many natural ingredients that brands use that have proven to be very effective at whitening teeth. Neem leaf is one of them, and activated charcoal is another. 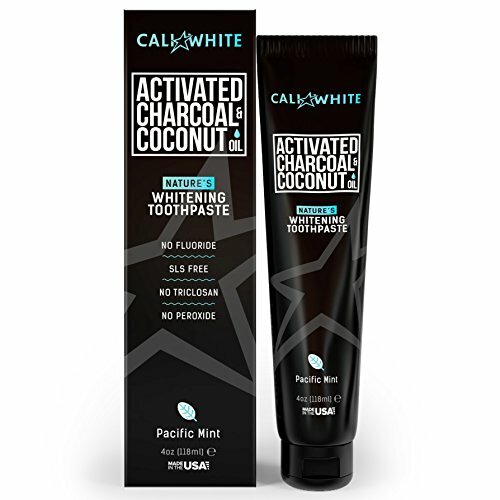 While there is a decent amount of controversy around activated charcoal, it really does whiten your teeth. 3. What is the problem with some of the chemicals in regular toothpaste? Many of the commercial brand tubes of toothpaste contain chemicals that are actually toxic to our bodies. Glycerin, for example, can create a coating or film over the teeth. This prevents the teeth from being able to remineralize, thus weakening the teeth. Another example is SLS (sodium lauryl sulfate). This stuff is used as a foaming agent. However, it has also been linked to dry mouth, which increased acidity. It also is known to cause membrane disruption and trauma in the mouth which can lead to canker sores. If you are like me and constantly get canker sores on your lips, cheeks, or gums, it might be a good time to switch. Here are some articles that answer the most popular questions about the natural and organic world of toothpaste. 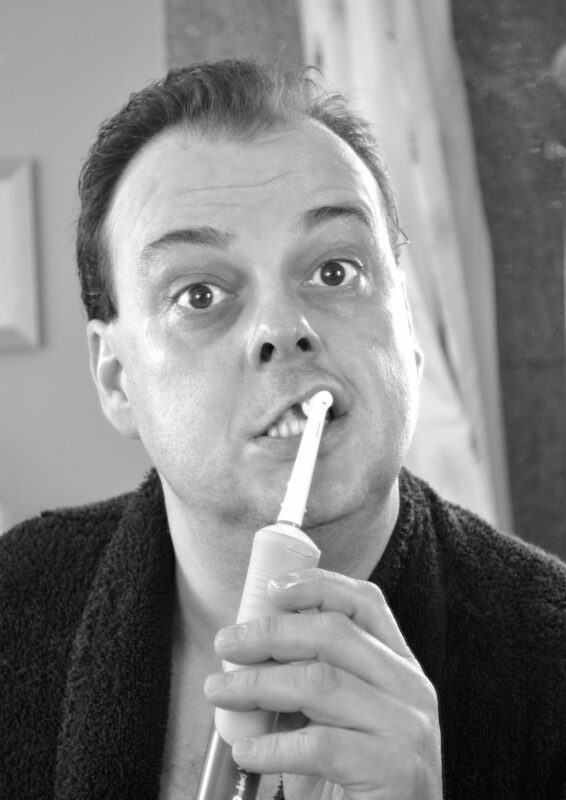 I have shown you our top 10 best natural toothpaste, as well as a great buying guide. 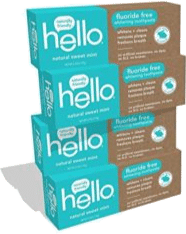 While there are surely other questions swirling around in your head, be sure to check out our full reviews of each natural toothpaste. For more information, visit greenandgrowing.org.